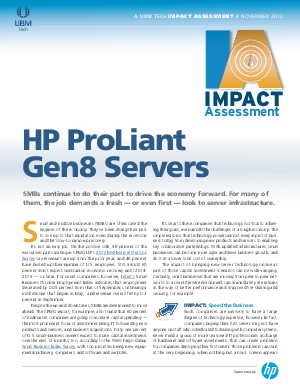 Learn more how HP ProLiant Gen8 e-Series servers, powered by Intel are simple, reliable, affordable solutions that let a growing business boost performance as well as productivity. The HP ProLiant name ensures reliability. And that reliability is an especially wise investment for businesses with limited information technology (IT) budgets.